Striking 12-inch scale vinyl figure includes his special weapons! Based on the 2002 film Godzilla Against Mechagodzilla. Add this massive kaiju to your collection today! Mechagodzilla is here to take down the King of the Monsters in this Godzilla Against Mechagodzilla 2002 12-Inch Scale Series Vinyl Figure - Previews Exclusive based on the film Godzilla Against Mechagodzilla. X-Plus recreates the massive kaiju in this striking 12-inch scale vinyl figure that includes his special weapons. 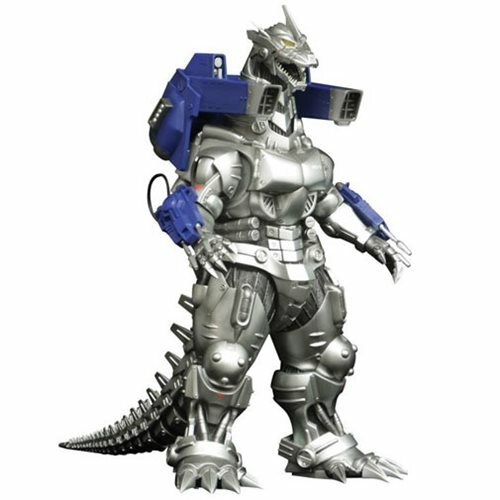 Add the Godzilla Against Mechagodzilla 2002 12-Inch Scale Series Vinyl Figure - Previews Exclusive to your collection today!